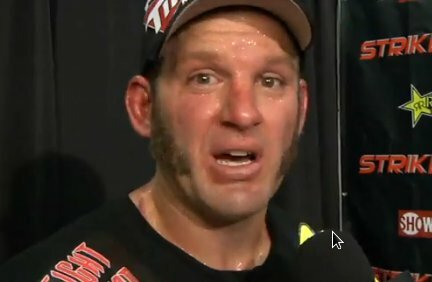 MMA reporter Ariel Helwani spoke with Chad Griggs during a post fight interview after the fighter won over Booby Lashley. Briggs defeated Lashley on the 2nd round via TKO of the Strikeforce: Houston. In the video, Griggs shared his thoughts about being perceived as the underdog and how he managed to repel criticisms. He also enumerated his fighting strategies and why he felt frustrated about Lashley given time to rest during the battle.